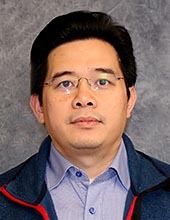 Anh Tuan Le received his Ph.D. degree in Dec. 2004 in Power Systems from Chalmers University of Technology, Sweden, and his M.Sc. degree in Aug. 1997 in Energy Economics from Asian Institute of Technology, Thailand. He is currently a senior lecturer at the Division of Electric Power Engineering, Department of Energy and Environment, Chalmers University of Technology, Sweden. His research interests include power system economics and planning, electricity market modeling and analysis, grid integration of renewable energy and electric vehicles. There might be more projects where Anh Tuan Le participates, but you have to be logged in as a Chalmers employee to see them.